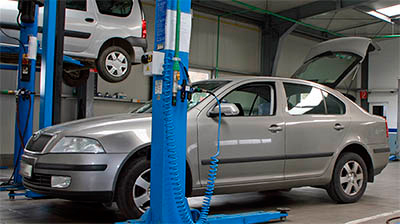 We provide factory-recommended scheduled maintenance at significant savings over the dealership. Our ASE certified mechanics follow the same procedures and use the highest quality parts to ensure your vehicles continued safety, and reliability. Call or schedule an appointment online to get started today. Did Your Car’s Heat Stop Working? Driving around without heat in Chicago can be absolutely brutal. Few things are worse than shaking behind an ice cold wheel in rush hour traffic. As if scraping off your windshield with a spare glove because your defroster isn’t working wasn’t bad enough, now you have to sit in the cold all the way to and from work. If you’ve been holding off repairing that radiator or replacing that water pump now is the time to act. The cost of the repair might be surprisingly affordable. We provide the quality repairs at reasonable prices. Stop being a glutton for punishment and warm up today by scheduling an appointment online or calling us at 888-888-8888. Why is Scheduled Maintenance Important? Everyday more and more people are choosing to push their odometers to 100,000 miles and beyond. Spending money on proper vehicle maintenance now will save you hundreds or even thousands later. Every car has it’s own maintenance needs based on the model and mileage. While every vehicle is different they all share one thing in common, neglecting maintenance reduces your car’s value, safety and reliability. Will My Warranty Be Honored If I’m Not Using the Dealership? Yes it will. As long as you’re not altering your car with high-performance or aftermarket parts your warranty will remain in tact with Honda, Toyota, Ford or any major automotive manufacture. Contact our automotive shop today to address the small problems before they turn into financial headaches.